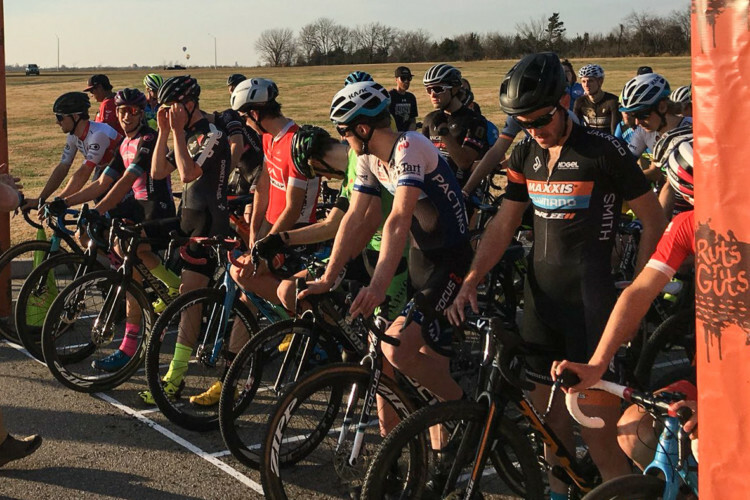 BROKEN ARROW, OKLA.—After a holiday break for Thanksgiving, the cyclocross season jumped back into full gear at Ruts N’ Guts on a warm, sunny Saturday full of the local flair and flavors at Chisholm Trail South Park in Broken Arrow. 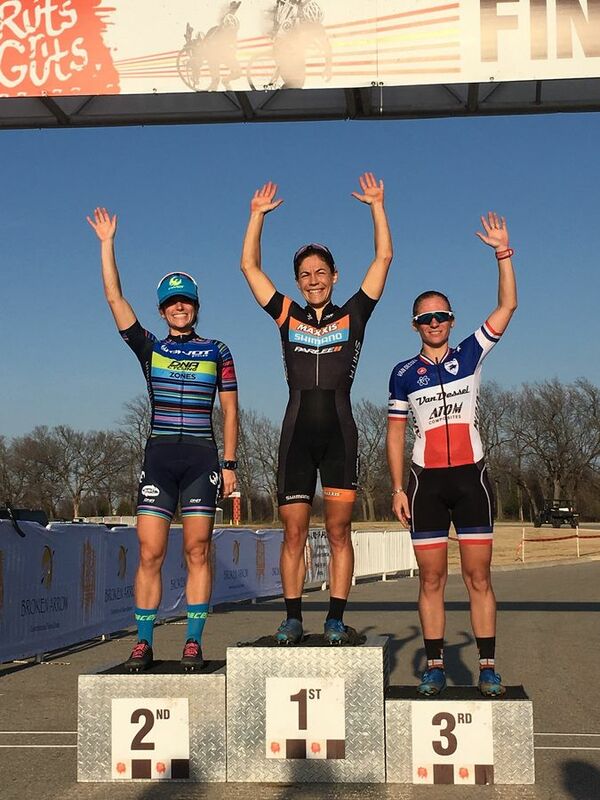 Now in its eighth year, Ruts N’ Guts powered by the City of Broken Arrow showcased Elite Women and Men with the final Category 1 races of the season on the USA Cycling Professional Cyclocross Calendar (Pro CX). Ruts N’ Guts also continued as the opening weekend for the Southern Cross Series, an amateur series with four weekends of races in Oklahoma and Texas. The Elite Women’s race was won by Crystal Anthony (Maxxis Shimano Pro Cyclocross) of Newbury Park, Calif. and the Elite Men’s battle was taken by Tobin Ortenblad (Santa Cruz/Donkey Label) of Santa Cruz, Calif. The unseasonably warm weather did not stop Crystal Anthony (Maxxis Shimano Pro Cyclocross) from securing her very first C1 title. Anthony went to the front early in the Elite Women’s race with Courtenay McFadden (Pivot Cycles DNA Cycling) and the two seemed to ride away from the very beginning. Anthony showed poise and patience, while McFadden just hung on her wheel. It was not until the last lap that Anthony would drop the hammer and ride away. Van Dessel Factory teammates Caroline Mani and Sunny Gilbert tried to stay with the leaders throughout the first two laps, but Anthony and McFadden were just too strong. Mani would take the third followed by her teammate Gilbert. 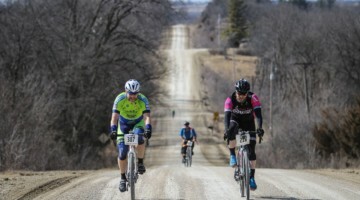 Amanda “Panda” Nauman (SDG – Muscle Monster) fought hard to hang on to fifth over a hard charging Katie Clouse (Alpha Bicycle Co – Groove Subaru). “It’s a new discipline now, it’s not cyclocross. What the heck. I’m cleaning my bike with Windex,” Mani added about the dry and warm 70-degree temperatures at Ruts ’N Guts. The final Elite Men’s C1 competition had an evenly-match front row for the start in the Sooner State. At the end, it was déjà vu from 2016 with Ortenblad coming out the winner over Kerry Werner (Kona Factory CX Team). Racing was fast and tight all the way through. Ortenblad, Werner, Gage Hecht (Alpha Bicycle Co – Groove Subaru), Lance Haidet (Donnelly Sports), and Cody Kaiser (Langetwins/Specialized) separated from the field two laps in and shared the pace for most of the day. Kaiser was the first to crack, then Haidet, but the two were never very far of the lead trio. 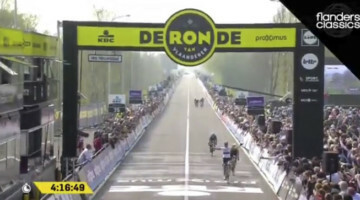 With three to go, Kaiser dropped his chain giving Werner and Ortenblad a gap. The lead twosome seemed to be alone, but a lap later the group was all back together with four riders, and Kaiser closing back in. The group would get the bell and head out one more time. With a small ditch just before a set of stairs a few hundred meters from the finish, Ortenblad made his move. Hecht battled back from his mechanical to take the last step on the podium in third, followed by Haidet in fourth, then Kaiser rounding out the Top Five. 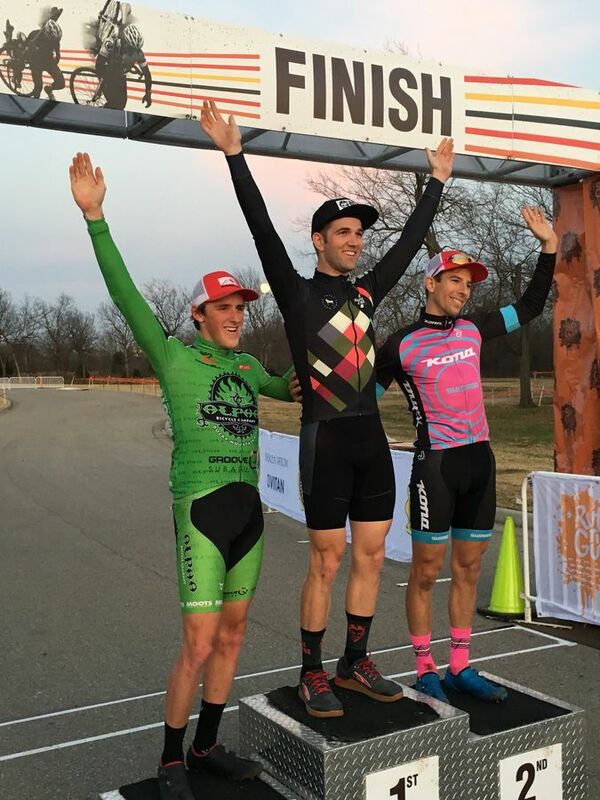 It was a strong ride for 19-year-old Hecht, who had his first win in an Elite Men’s C2 race before Thanksgiving at Major Taylor ‘Cross Cup. 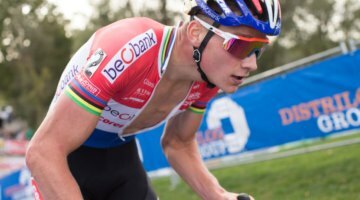 He finishes fourth in the Elite Men’s C1 race at Cincinnati Cyclocross earlier this season. Men’s podium: Ortenblad, Werner, Hecht. 2017 Ruts N’ Guts Day 1. photo: Peloton Sports. The NBX Gran Prix of Cross will feature the final events of the eight-race Vittoria Northeast Cyclocross Series presented by presented by Clif Bar and Cycle-Smart. Vittoria Series award jerseys will be awarded to U23 Women, U23 Men, Elite Women and Elite Men after races on Sunday.